Deep learning is arguably the most popular branch of artificial intelligence (AI) today. Unfortunately, the technology does come with certain drawbacks. While excellent at performing tasks like image recognition, it struggles with abstracting and reasoning. And because deep learning is essentially a “black box,” it cannot be used in regulated industries where organizations are required to explain the reason for any decision. 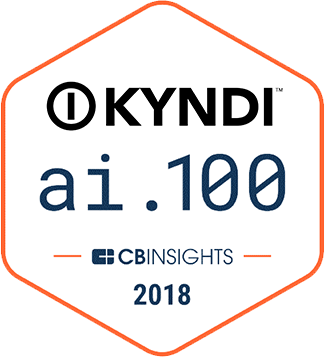 In a recent article, New York Times technology writer Steve Lohr addressed the limitations of deep learning and explored new approaches to AI, with Kyndi™ being one of the featured companies. Noted in the piece were Kyndi’s abilities to fuse together multiple branches of AI, democratize AI by training on datasets much smaller than those used in deep learning, and greatly increase the productivity of human analysts. Kyndi’s goal is to help you maximize the value of your data and solve real-world business problems. Stay up to date on what’s happening with us by subscribing to our blog, and if you would like to speak with someone about how Kyndi™ could help your company or organization please send a note to sales@kyndi.com. We look forward to hearing from you.